In this episode meet the extraordinary scientist, Dr Vivienne Ming. Probably because of the premium it puts on curiosity, my trade seems to attract the most interesting people. But even by our high standards, there are few like Neil Jacobsohn, who moved on from newsrooms to boardrooms and thence out of the media industry entirely to indulge his passion for learning as a senior partner at FutureWorld International. 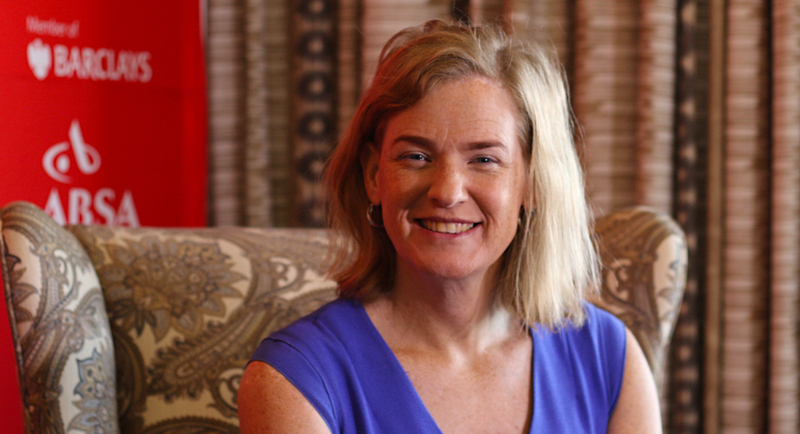 I mention this because we have to thank Neil for introducing the fascinating Dr Vivienne Ming to South Africa. California-born and bred Dr Ming is a cognitive neuroscientist, entrepreneur and member of the faculty at the pioneering Singularity University. She is also one of the world’s leading experts in artificial intelligence (AI), and did her entire undergraduate degree in a year, and this after being homeless for a few years before that. It’s a story that is as extraordinary as her insights, but she only touches on that in this discussion that we had today. I caught up with her after she had blown away an appreciative audience at PwC’s new Waterfall City headquarters near Johannesburg and of course started off with the obvious. Have you been to SA before? Is this your first visit? No, I’ve been, gosh my first visit was 5 or 6 years ago. Actually, Neil, he just cold called me and I thought who the hell is this person? I came down here to Johannesburg. I’ve now, every year since I’ve been here two to three times. I haven’t really gotten outside of CT and Johannesburg and I only ever come to work but it’s been lovely every time. So, I guess you’re not really feeling or sensing the changes in the country? Well, you know I came early enough. I did a talk completely on, related to FutureWorld, where we were here for the Ackerman family, hosting the World’s Consumer Goods Forum down in CT so, Pepsi, L’Oréal, and Campbell Soup and everyone was down there. I got to meet Cyril Ramaphosa, a minister at the time, and although I heard murmurings that he would be more, and it has been interesting to see some growth and changes. It’s not been an enormous amount of time but it’s one thing for a white American to show up in SA and experience what feels very similar and what feels very different but then see it change in sort of a time lapse, coming back every 5 or 6 months over the next 5-years. It’s been fascinating. Vivienne, how do you find the South African audiences? Well, you know, I get to travel all around the world and it’s always interesting to get to see how people view the world differently. Right here, in SA, there’s an interesting bit of a trade-off. I think SA fairly and genuinely sees itself as a leader on the Continent, with an infrastructure and a productivity level that you simply don’t see anywhere else in Africa. At the same time, there’s a degree of we are part of the industrialised world and yet so distant from it in many ways. A sense of keeping up, whether it’s with Europe or with America or others. That has always intrigued me about SA. It’s one of those reasons I love to do work here because my work is fundamentally about how do we improve people. While, SA is a country of great disparity it’s also a country with First World infrastructure, as challenging as it might be on occasion, and that’s a wonderful opportunity. Every little kid that you can capture and bring into that infrastructure has the chance to be a part of the entire global world. When I travel to many other places, it just doesn’t have that same degree of connection and aspiration. That’s a great context because quite often when you’re in the middle of the woods, well you can’t see the woods for the trees. But the big thing, I guess, when one talks about AI, and that’s what you were wowing your audience with this morning in your discussion is, it does take away the mundane jobs. Machines replace people doing those mundane jobs. Of course, SA is sitting with a massive unemployment level and it really just wants to get people into any jobs, even if they are mundane. Is it more at risk by the moves towards AI? You know, there are two ways to answer that question and they are both fundamental to the point that you’re making. One is what are we defining as mundane? By most people’s estimation what we’re talking about is warehouse jobs, truck drivers, logistics work, agriculture, mining, but the truth is yes, those jobs are at risk but as I go out and I build a robot to pick strawberries or to move boxes around a warehouse or autonomous mining equipment – that is expensive and it’s difficult. It’s actually, very challenging to displace humans out entirely of those sorts of jobs. Instead, a better way of thinking about the impact of actual robots on human physical labour is, it’s a lot like migration. When a robot comes into a factory, or a robot comes into a mine it has an impact that is very economically similar to a big migration of foreign workers coming into the same labour market. So, every robot you buy, it’s the equivalent of three or four workers entering that market. It decreases wage power. It increases unemployment so the jobs don’t disappear but they genuinely undergo stress and most people holding those sorts of jobs have very little wage power anyways. I come from California, we have an enormous population of people working in agriculture, largely both legal and illegal immigrant labour from Mexico and Central America, and if we build a robot to pick a strawberry well, it’s a sorry truth but it is the truth that they will just do it for less because they don’t have anything else to do anyways. So, that’s one side of the story, we need to be genuinely worried. If we go and we replace all of the lorries and all of the mining work then we genuinely need to worry what to do with all these people. The recipe for every Civil War ever, has been a large number of young men with nothing but free time on their hands. On the other hand, though we need to redefine mundane. Mundane isn’t just low skill physical labour. If you are doing the same job tomorrow that you were doing last week then someone like me is trying to build an AI to do that job and if we succeed that AI will work cheaper, faster, and better than you do. Now, what do I mean by that? If your job is… If you’re a lawyer, a pretty work-a-day lawyer, you’re not doing cutting edge work, elite contract work or coming up with novel defences for criminal defendants. Your job is, someone walks through the door and in a moment, you eyeball them and you say, all right they’re going to want a will and it’s going to be my standard will. For hundreds of years it’s been a legitimate upper middle class, high paying job because it was complex, it was cognitively complex. But it still wrote. Historically, we didn’t have anything that could do cognitively wrote jobs but now we do, and this is I think what people will be surprised about. AI is going to blindside the professional middle class. If you’re not doing creative labour, if you don’t spend your time actively solving novel problems, I would be very worried about your position in the economy. There are jerks like me that want to make a killing, building a start-up to do your job for a price you wouldn’t be able to pay your rent or feed your family for. Yes, anything routine, I guess. It’s interesting from my own perspective at BizNews our company, we use Xero, which is an accounting software package, which gives us the ability to well, it talks to the bank accounts and we don’t need bookkeepers anymore. We use Stripe, which means that we don’t have to have credit card machines – it can all be done online. We use Slack, which means we don’t have to send out emails and clog up inboxes because it’s all there. Those are just three little tools that have enabled us to become a very different company because of technology. But when you talk about AI anything routine it seems is now at threat and what is the and it’s hard to find solutions but what does an individual in the workplace do when they see this wave coming at them? In a sense, what’s the silver lining of all of this? Surely, and hopefully, it isn’t just about making Jeff Bezos or Jack Ma unbelievably rich because they already are. There’s got to be something that’s worth doing here and I work in the space of AI. I use it largely for philanthropic reasons but I wouldn’t do it if I didn’t think there was genuine good to be had. We just need to be realistic about that good. So, what do we do about it? So, right now, if there is a job, whether its low skill or university-trained professional labour that essentially, as you might imagine if I could get anyone with the same skillset to walk in the same door and do exactly the same job and that job is economically valuable, it will be automated or at 80% of the jobs, 80% of the tasks that make it up. So, if you spend in your 40 to 50-hour work week, if you spend the vast majority of your hours doing complex but wrote tasks – all of that goes away. The promise of AI is what’s left. Who wants to spend their time doing case-load work and reading contracts? You want to decide what to do about the loopholes and how to formulate a new strategy as a result. No one wants to waste their time mining through a whole bunch of x-rays looking for results. Wouldn’t it be great if the AIs could find these vastly better than a human could do but then you, as a doctor, work with your patient to come up with a unique and personalised treatment plan. In essence, what I’m saying is, we need to move everyone into the creative class. We need a society that explores. We frame every job into how do I bring a unique perspective to the problem that I’m working on? If all of the wrote tasks, how every sophisticated they are, are both automatable and mundane because anyone, in theory, could do them. Then your value as an employee or as a talent in the labour force is that very thing, which makes you unique. Literally, when I bring someone into my labs or into one of my companies, I don’t hire them because they know how to program or because they know about brains. I can teach them that. I learnt it. They can learn it. I hire them because they will have an idea that I would never have had myself, and that is their unique contribution to what we do, and the kind of work I do is work, in some sense that I think everyone would love. We get to tackle novel problems all around the world. We work with the UN. We work with parents of dying kids. We work in education. We visited with Naspers here, in SA, down in CT. We’re going to support them on an education initiative they’re working on. I get to do the most phenomenal truly groundbreaking work. Not because I am uniquely special but because my life has really convinced that my value is what I uniquely bring. Yea, I know how to build AI. I have some very fancy degrees but the truth is, you want to know the best thing I ever did in earning those degrees? When my dissertation committee told me not to do the research that I was wanting to do. I ignored them and I did it anyway and it became a nature paper. It became a novel set of algorithms that people still use today. It became a treatment for people who are deaf. It was truly new and it happened because even though I was a little, low powered student, I believed I was there for a purpose and I took the risk to do sometime better. Not because I’m smarter than anyone else or that I have some magical capability. Just believed my value was what I brought differently than everyone else, even my dissertation committee, and it paid off. Imagine a society made up of people like that? It really is a little bit about confidence, about exploring, about being curious but what about you? Where did you even start before that dissertation committee, this interest in AI? Yes, I have a fairly unusual life and, in some ways, I think that truly has served me, as much as I regret a lot of wasted years. I was born in California on the coast. Life was wonderful. When I was a little kid, I was supposed to have won a Nobel Prize – that was just kind of understood. I wasn’t working incredibly hard so, you could win a Nobel Prize. It was just an expectation. Even when I was a little kid everything I did that was supposed to live up to that life failed, and by the time I got to university I was miserable and I flunked out and I ended up homeless. I wished every billionaire out of Silicon Valley, every newly minted potentate in Shanghai could fail. Fail in a way that there’s no excuse but that it was you so, that you could understand how easy it is for any life to slip into that mode. I was fortunate, I got off the streets. I got back in my life. It taught me some very hard lessons, though it took me years to learn them and I had the chance to go back to university. I did my entire, undergraduate degree in a single year and I got perfect grades in every course. I went to Carnivale University. I did a PhD in psychology and another in computational neuro-science. Then I was at Stanford and then a faculty at Berkeley. Then I started five companies, an AI company in every case, but in education, in workforce. On and on and again trying to make changes in people’s lives by doing something no one had ever done before. How do we replace all tests with an AI observing students while they learn and never ask them to do anything other than learn and grow? We published papers, we built whole companies and sold it, doing exactly that and again, there are amazing people in the AI space and people that have business instincts that I have never had in my life. The reason I’ve been successful is I know what my purpose is. I am here to make that of people, to maximise human potential and I built my companies to serve that purpose. I was able to hire people, amazing people at those companies that never in a million years would have worked for me on some blockchain for a dog’s start-up. But I was hired to hire people away from Google and Facebook, because working for me meant changing people’s lives. I knew my purpose. I took crazy chances to achieve it and it was that sort of dedication that really made a transformation so, then I started wondering along the way as a scientist and then as a technologist. Is there a way to grow that kind of person, not by chance or by misfortune, but by intention? What if we could design life experiences for every little one growing up in SA that would make them truly believe, correctly that their hard work would pay off? That would make them resilient to the kinds of setbacks that cause most first-time entrepreneurs to fail? It turns out sending people to university is a wonderful thing to do, once you’ve built a high potential person. But it will not transform a person that doesn’t have these fundamentals. So, most of my work today is about identifying those fundamentals, both in kids and in adults. I happen to use AI to do this sort of work but it’s amazing. We run massive scale projects with Accenture and looking now with the World Bank and the United Nations (UN) on what does it take to get a university educated, highly trained individual and transform them and through someone who does what they’re told, to someone that explores and its immensely hard work. There’s no short-sell here. People change because you rewire their brain and you rewire their brain through rich, life experiences. But those experiences can be designed into work itself. They can be designed into our education system so, I get to be a professional mad scientist and see how I can rewire peoples’ brains but doing it by engineering better jobs. But it’s so interesting because the whole world wants to rewire now, reboot, find something new. In a SA context the look ahead is, and I’m sure you’ve come across this that SA wants to be a developed mental state, but an entrepreneurial development state. I don’t know if you’ve come across the work of Mariana Mazzucato but she’s a rising economist who is engaging a lot with the SA Government, and they’re starting to think differently about things. Why should you have this big public sector where the perception is that they don’t add value. Whereas, you are very well aware in the USA, many of the fundamentals for the incredible economy there has been put together by far-sighted people in the public sector, etc., so it’s just another interesting angle that ones coming from. What do you think about all of that, when you go beyond the obvious of stimulating sort, but to the role that can be played by sectors, and particularly the public sector, which has been perceived or maybe painted by the media as this useless sterilisation of resources rather than something that could add to it? Well, I think that the public sector clearly, can be a driver of change and it clearly can be a drag. Of course, one of the intrinsic problems with any public sector everywhere, is you end up with a lot of political capture so, patronage, and fundamental job security applies and this can be incredibly destructive towards people actually, going out and doing creative work in the world. But it doesn’t fundamentally have to be that way. One of our most fascinating findings, I was the chief scientist of one of the first companies to ever do AI in hiring and, more specifically, we did it for sourcing. How do you go out and find people to talk to, in the first place, and bring them in. There was an enormous story to go behind that entire experience but one of the interesting things we found along the way is one of the biggest predictors of high, quality work and I actually gave a TED talk about this. We ended up calling endogenous motivation that drive that comes from within. When you look at elite athletes, the ones that aren’t just, one year they have a great season, but year after year they’re amazing. When you look at the highest performers, the best salespeople, the best software developers – what you see again and again is they do it for themselves. They don’t do it for the incentives. They’re not there for job security. They aren’t there for the bonus. Even though ironically, and some are paradoxically, they end up getting the biggest bonuses. What’s very clear is when all of the incentives disappear and it’s just them. They continue to perform. The public sector could work that way. If people felt that they could work for the greater good in a way that made people’s lives better and they had autonomy. This is one of the challenges of the public sector, which it typically involves very low autonomy work. You don’t actually make decisions. You’re carrying out other people’s agendas. For that matter, that happens in big business as well. You want to see a company solve low productivity problems, particularly when it comes to innovation and creativity, you need to loosen up. There’s a famous sociological intervention of tightness and looseness. I find it in my own work. We call it employee driven or management driven variability in organisations. This can be NGOs, governments, corporations – when they get big enough these become dominant factors. If you are tight and management driven then a very small number of people make a set of decisions, everyone else carries it out. You have great risk mitigation. You have in, societal communities, you have lower crime rates, you have lower teen pregnancies. All desirable things but what you trade off is intellectual property creation, innovation, job creation and development. What I’d actually like to argue is it doesn’t have to be a trade-off. If you figure out how to generate in people that drive to explore and create. You can actually find a middle ground between the two where the purpose of leadership isn’t to tell people what to do but it’s to tell them why to do it? Why are we here today? What is it that Cyril Ramaphosa is trying to achieve? He’s the ‘what’ – he’s not the ‘what of the how.’ Now, everyone down below him has their own agency to go out and create change. Why do we trust them with that responsibility, which I’m willing to bet is not something many leaders want to do but if you look at the highest performance organisations, you look at organisations like Google, and as challenging as its been over the last year for tech companies – these companies still have wildly outsized returns, what some people call intangible capital where their returns are not explained by all of the formal ways in which we measure companies. What it turns out the reason why organisations like Google are so successful is because they let their employees explore. Now, they do it somewhat lazily by simply hiring the very best people right up front and then letting them go explore. I have found in my work it doesn’t have to be that way. All you have to build into people is the courage to do what they believe but you also have to build into them the purpose, the strength of purpose to follow that ‘why.’ So, if you’re selfish, doing what you believe, pulls organisations apart but if you can find alignment around purpose then you get the exact opposite. Where even though people are nominally acting under their own agency, they’re actually carrying out the collective vision. Actually that, continued flexibility, the fact that there is imperfect alignment becomes desirable. Teams that do incredible problem solving are better when they bring diverse perspectives and when they feel free to share those diverse perspectives and that’s a virtual universal. All teams perform better in those constructs. So, we want to build that. We want to build that in term of government and society. We want to build that in terms of corporations. Yeah, as a Silicon Valley native I have a certain starry-eyed quality when it comes to the very wild west approach of tech companies but the truth is, I learnt the hard way that that is not the right way to solve every problem. We need that trade off where smart people are empowered to solve problems but where they are aligned because there is a purpose bigger than themselves that they are trying to achieve. You can do that in government but you can’t do it lazily, not in any organisation. It’s hard work to maintain purpose and make everyone clearly understand why they’re doing what they’re doing. That was the extraordinary Dr Vivienne Ming, and this has been The Rational Perspective. Until the next time, cheerio.